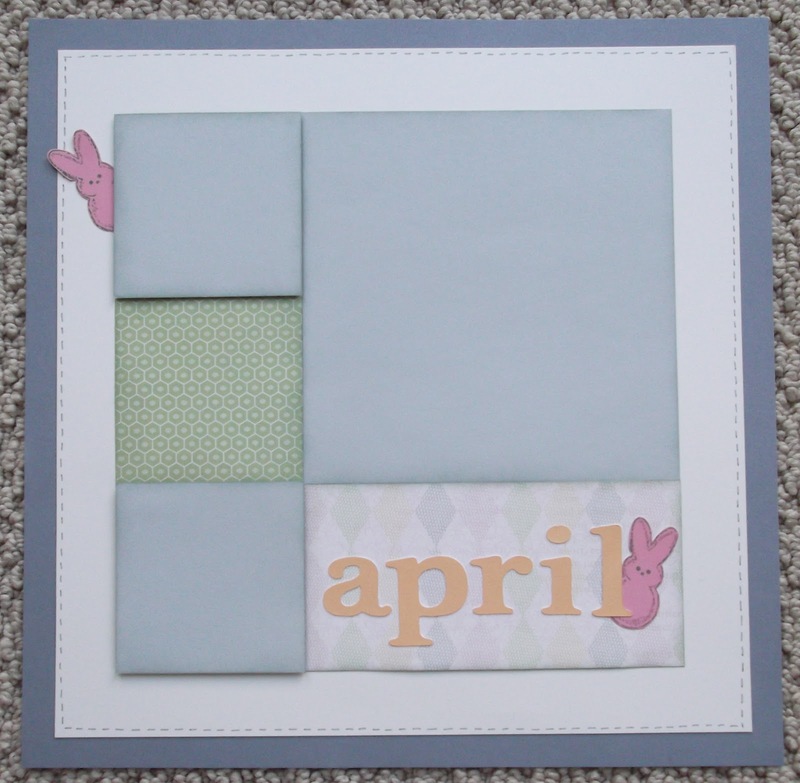 This is the layout I'll be using for my Scrap 2012 May classes. Love the simplicity of it!! If you'd like to see the layouts we did for January - March click the "Scrap 2012" tab above. Most of the paper is straight from the Lucy Paper Pack (X7149B) with two exceptions. 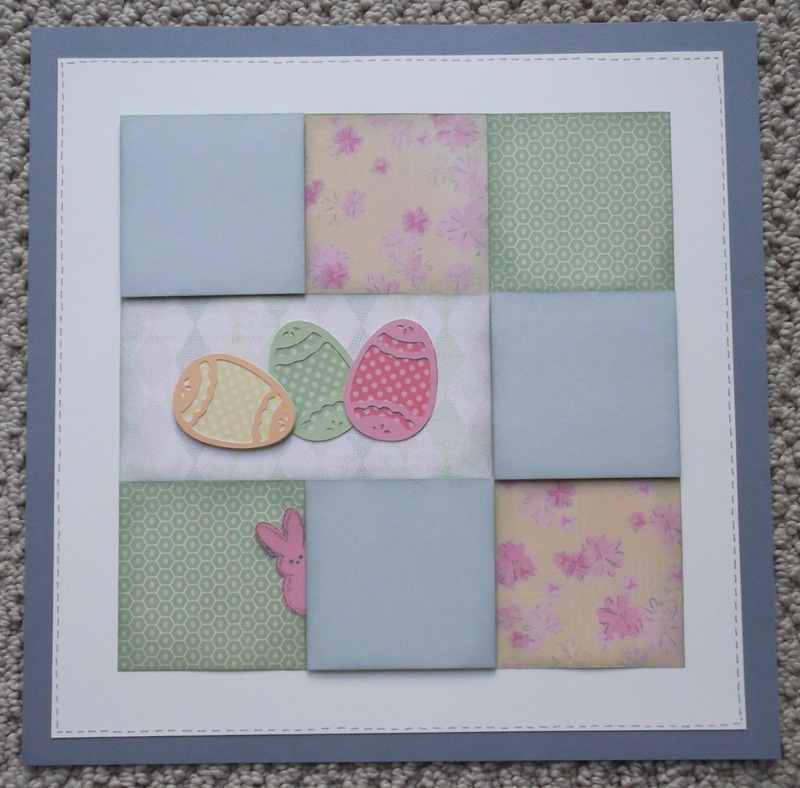 I added Grey Flannel card stock for the photo mats and Dotty for You for the Easter egg bases. 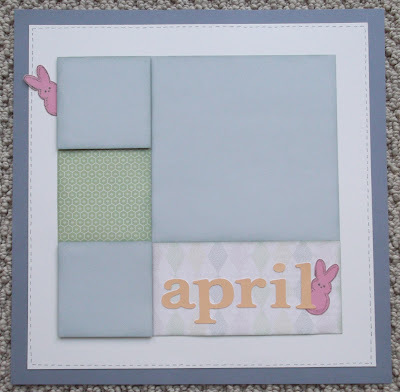 The sweet little peeps (My Peeps B1402) will be glittered when we do this layout in class. They look so cute & edible when they are all glittery! 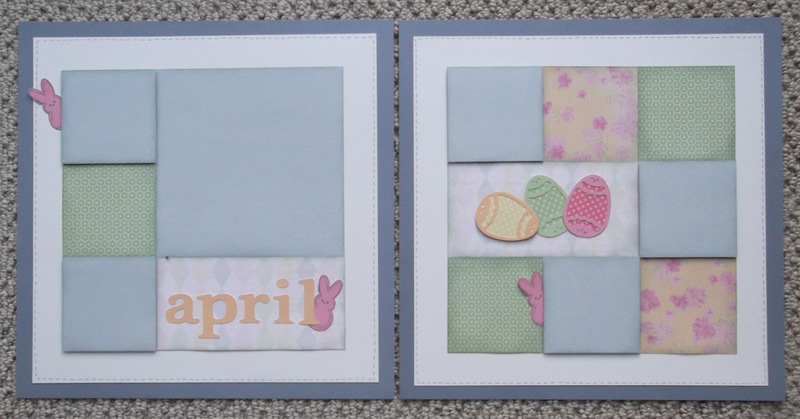 All egg pieces and letters were cut from the Close to My Heart Art Philosophy Cricut cartridge. It's really cute! Hope the class went well. 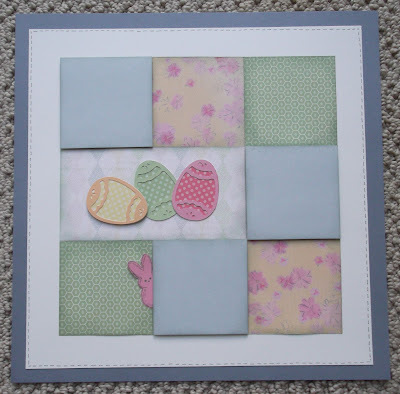 May Paper Trail Blog Hop is Superhero!